Making a major career change is a big decision, especially when it entails leaving behind a successful career and setting up in your own business. For Mark Knight, who joined TravelManagers in August 2017, the change is already paying dividends. 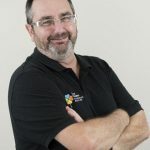 Knight, who is representative for Thornlands, QLD, says he has found the biggest surprise since he joined TravelManagers to be the amount of time he has now has for life outside his job. “I’ve gone from working 7am until 7pm most days, to only three to five hours on an average day. I can take my daughter to and from school, assist in her classroom once a week and catch up with friends,” he says, adding that he also now has time to indulge his passion for cooking. As well as the vast improvement in work-life balance, Knight says he is thrilled with the progress he’s made in building his business so far, estimating that he is on track to surpass his previous income within the next 24 months. Knight attributes much of his successful transition to the support he has received from TravelManagers’ National Partnership Office (NPO). “I came to TravelManagers expecting to get a certain level of support but was quite prepared to be mostly on my own,” he explains. “Instead, the people at the NPO have been so helpful in ways that I hadn’t expected: from fares and ticketing to accounts and marketing. Knight says he has also appreciated the support he has received from fellow PTMs, from one-on-one discussions prior to making the move to TravelManagers, to information-sharing via the PTM Facebook page and regional cluster meetings at which PTMs can share ideas, experiences and knowledge. With monthly intakes of new PTMs joining TravelManagers, Executive General Manager, Michael Gazal, says having an extensive and comprehensive induction programme in place is a priority. 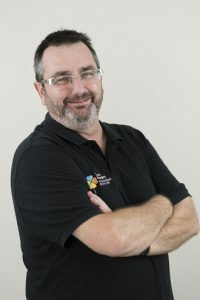 Thanks to a strong start, Knight says he is already looking for ways to further grow his businesses and, as with the other PTMs with whom he has been regularly sharing experiences and swapping hints, he is seeking out local sponsorship activities and strengthening his supplier relationships.